The sequel to the 2014 film John Wick came out the weekend before Valentines Day. If you have seen the first film, you know that there is likely some purposeful irony in releasing it that weekend. Wick is a man of focus and sheer will, or so the characters in both films keep saying and this sequel gives fans more of the same in the second chapter of the story of Mr. Wick. 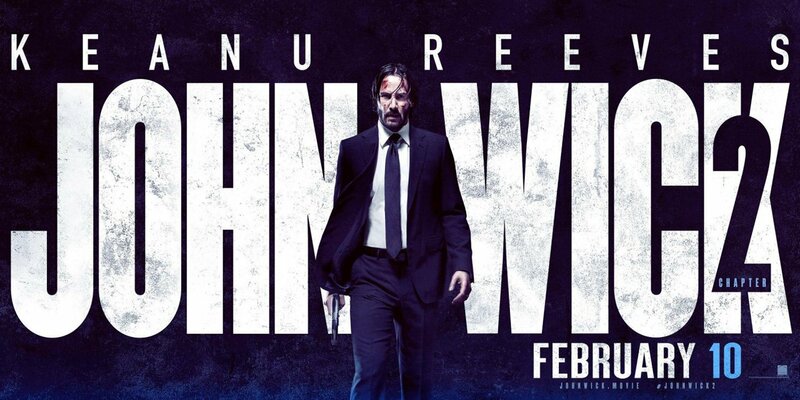 Reeves returns as the brooding hitman of the underworld that has a code of honor, John Wick. It has been an ongoing theme since the first film that Wick has wanted out of the life since he found there could be a peaceful life with a woman he loved. However, he keeps getting pulled back in no matter how often he tries to bury his past behind him. The action is on par with the first film as well as the theme of the story fo trying to retire. This new film shows us more of the underworld and the mysterious Continental Hotel that the assassins in Wick's world respect as their own private government. Ian McShane also returns to play Winston, the man in charge of the assassin network in New York. Some new characters emerge in the film as well that may be a small surprise for some fans of Reeve's work. One day, likely after a "John Wick: Chapter 3" fans may get a back story on all of Wick's deeds that gave him the reputation that makes him so well-known. All the work he did in the past not seen in these films seems to be what comes back to haunt him. For now, if you are a fan of the fist film, go see this second installment. This sequel is also rated 'R' for violence.